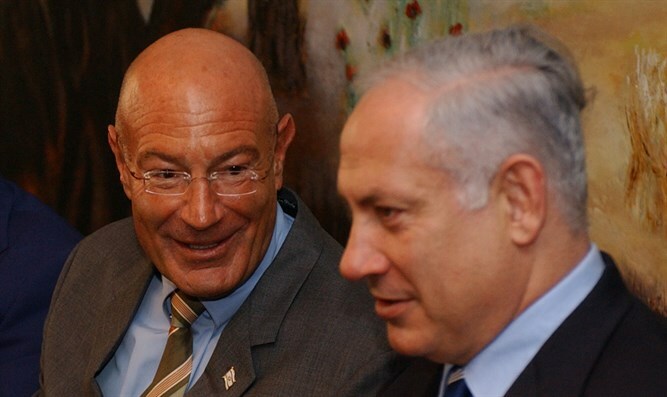 Businessman and movie producer Arnon Milchan questioned on suspicion of giving bribes to Netanyahu. Businessman and movie producer Arnon Milchan was questioned in London this week in "Case 1000", which is centered on allegations that Prime Minister Binyamin Netanyahu and his wife Sara systematically received gifts from benefactors. According to Tuesday’s report in Haaretz, Milchan was questioned over suspicion that he gave bribes to Netanyahu. This is the first time Milchan has been questioned under caution, or as a criminal suspect. Milchan gave testimony to the police in December 2016 during which he confirmed that, for years, he gave the Netanyahus expensive gifts, including boxes of cigars, bottles of champagne and jewelry, at their request. In the testimony he gave in London, reported Haaretz, Milchan tried to soften the severity of some of the details revealed during the first time he was questioned. Sources with knowledge of the investigation said Milchan was questioned more than once this week and the testimony he gave strengthens the suspicions in the case. Netanyahu has dismissed the investigations against him, saying that his critics should hold off on celebrating his political demise since nothing would come of the investigations.